All K-State alumni and friends are invited to this Catbacker Tour banquet and golf tournament! Reservations are due by May 14. Includes green fees, cart, beer, tournament gift and lunch. Own a business or have connections to one? Don’t play golf, but want to participate? Or you just want to contribute to the scholarship fund ... your $100 event sponsorship is welcome! Please contact Bill Turley prior to May 5, 2019. Many exclusive K-State items that will be offered only at Catbacker events this year will be auctioned off or given away. 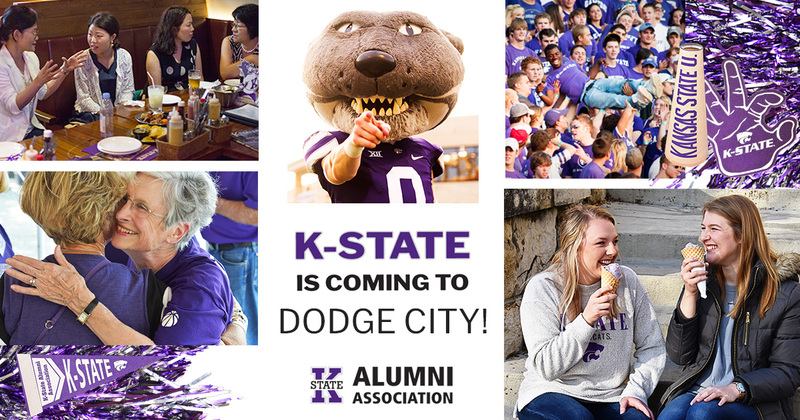 High school juniors and seniors and community college students who attend will receive a free K-State T-shirt. A scholarship drawing will take place for students planning to attend K-State in fall 2019. Games, inflatables and more! All kids in attendance will receive a clear drawstring bag full of goodies. Unique athletic ticket packages only available at this event. Preschool and younger are free.